A few years after World War II. the Allies organized an airlift to supply desperately needed food and fuel to the blockaded residents of West Berlin. Today, bomber planes continue to be used to drop supplies such as food, fuel, medicine and weapons. Interestingly, there has even been a case of a so-called “candy bomber” which delivered chocolate bars to children living in war-torn regions. If we’re following Maslow’s hierachy of needs, bomber planes have largely focused on satisfying physiological and safety needs. At some point, will they also satisfy intellectual needs? Give your brain a wrinkle or two. 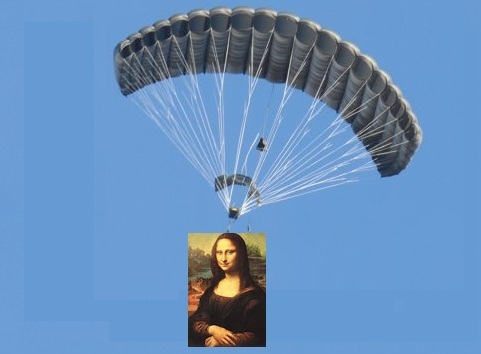 Maybe we’ll hear of brain bombers that drop copies of great artistic and scientific works. Once physical needs are taken care of, people may instead crave Beethoven’s Fifth, Matisse’s The Dance or Miller’s Death of a Salesman. And not to be accused of snooty tastes, I must add that I would certainly appreciate Arrested Development season 2 in a care package. Recently, I watched Blade Runner for the first time (yes, I know, shocking). It’s a cult classic in the science fiction genre for many reasons, which I won’t get into here. What I wanted to write about is the idea of abandonment, ghost cities and ghost planets. Blade Runner takes place on a planet Earth that is desolate, dingy and dirty place because it has been abandoned in favor of space colonies. Advertisements in the film promote the richness of these colonies, and it’s not hard to see why so many people leave Earth behind for something more promising. We may not have ghost planets today, but ghost towns are plentiful. 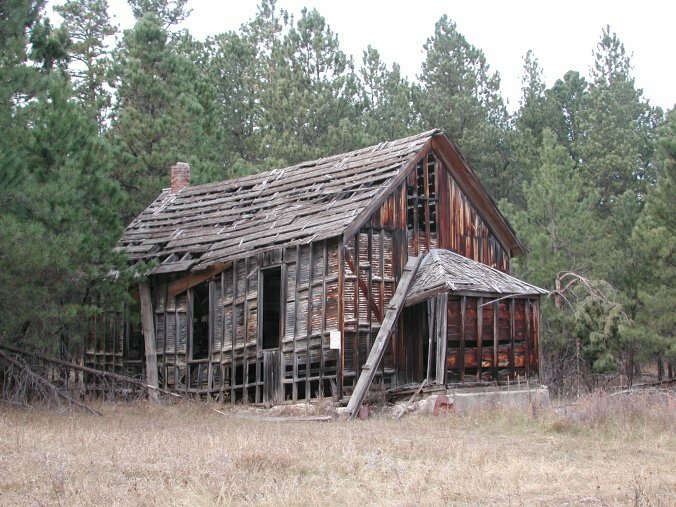 In North America, ghost towns are commonly the result of depleted natural resources – inhabitants who left once the local supply of coal, iron or oil ran out. Some of these ghost towns are tourist attractions, though most remain empty. A real fixer-upper in Coalville, USA. While Blade Runner takes place in the not-so-distant future (2019), it still holds the idea that progress implies leaving something behind. As fantastic as the future may be, not everyone can be taken along for the ride. Which made me wonder, is abandonment a necessary evil with innovation? And is it a good or bad thing to have ghost towns, and maybe one day, ghost planets? Frequently, a clean break is the easiest way to introduce a new technology. It allows you to focus resources on the fresh start in an ideal environment. There is a high startup cost that may make it prohibitive to upgrade everything at once. But abandonment also raises deep questions about whether it is proper to give up on cities, planets or even people that don’t seamlessly accept new technologies. Are ghost towns and ghost planets just another way of perpetuating inequality? And is that progress? I read an interesting article on how animals used to be put on trial. You read that right: Pigs, mice and locusts were criminally prosecuted (and sometimes executed) for goring humans or ruining harvests. 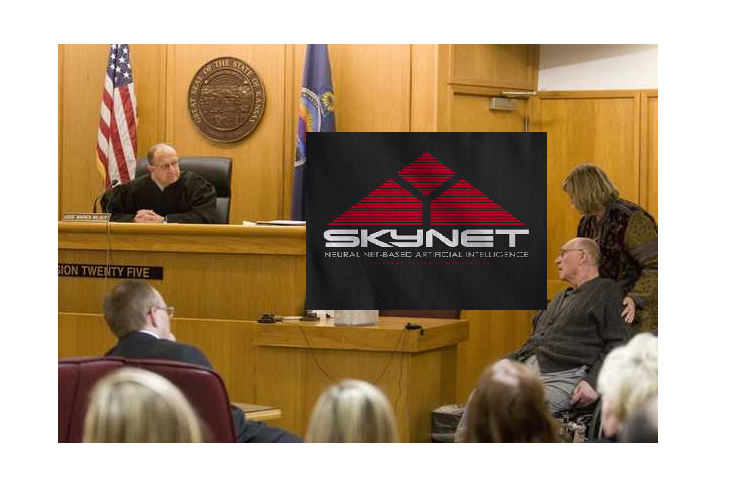 Which made me wonder if the next step may be putting computers on trial. Let’s face it, but computers (hardware and software) go wonky far too many times to go unpunished. ‘Criminal’ is a pretty good way to describe your web browser freezing up just as you put the finishing touches on a perfectly-phrased email. Perhaps our descendants will recognize the innate intelligence in sentient future supercomputers and hold them accountable for errors, crashes and bugs. Although this is supposed to be a blog about the future, I feel compelled to include book/movie/play reviews for fear that otherwise, I will never sit down and critically think about what I just finished. In that spirit, let the [incredibly condensed and terse] reviewing begin! This novel (a precursor to Heller’s Catch-22) presents the repetitive musings of the American cliché squared: Bob Slocum, a married father of three and office employee whose life revolves around family and work. Much of the book traces his repetitive whining and complaining and his passive non-resistance to the trivial slights and defeats of life. I gave it only two stars because while I enjoyed the satirical evaluation of the American dream, I found the streams of consciousness style tiring. Maybe Heller wanted to make the book so repetitive and whiny that you began to hate the narrator and the banality of his life. It went too far, however, and resulted in a tiring read where you found it hard not to skim. Max Brooks traces the history of World War Z, a zombie apocalpyse that has ravaged Earth. The narration is from the point of view of a survivor who interviews other survivors to get first-person anecdotes about how they made it. Among the people you hear from are a submarine captain, government official, rural doctor, etc. I found the narration to be perfectly suited to a book about a zombie apocaplypse, partly because it makes it easier to imagine the aftermath of something that is beyond our everyday experiences. My major complaint is that, quite often, the stories feel a bit disjointed. There is no clear pattern to the interviews that were selected so that the book reads like a scattered collection of blog posts. Player Piano is a dystopian account of a future where robots have rendered 99% of workers obsolete. The result is a hierarchy in society with the top occupied by engineers who design the machines and the bottom populated by everyone else living off the scraps of their automated superiors. Yes, I gave Vonnegut one star, but keep in mind this is one of his earlier works that reads like an amateur foray into science fiction. The problem was that overall, the novel just reads a bit silly. The dialogue is cartoonish in its simplicity, which undercuts the gloomy sense of dystopia. In addition, Vonnegut really struggles to write about machines without engaging in something akin to Treknobabble (gibberish that is supposed to sound super high-tech and scientific). You can learn a lot about a culture by its attitude toward food: What people consider a wholesome meal, the timing of consumption (second breakfasts, anyone? ), even the appliances used to prepare food. I’m reminded of when a globe-trotting friend of mine said that you could learn more about a culture by shopping in a local supermarket than by perusing tourist traps. Only about a half-century ago, people had a strong enthusiasm for manufactured meals. Think of The Jetsons and food pills, small pellets containing all your daily nutritional needs in an unperishable form. Or consider how early microwave dinners resembled ersatz Star Trek dinners, different parts of a meal separated into tidy compartments. Coming soon to a Whole Foods near you! Today, popular opinion has somewhat shifted on what is good, wholesome food. Food pills have lost out to homecooked dinners. Farmer’s markets have replaced Star Trek-type food replicators. Whether it’s unpasteurized, unbleached, pesticide-free or organic, we prefer nature’s bounty to man’s science experiments. Why such a shift? It could speak of a growing distrust of technology. People were promised a lot by early food science. Not only would enhanced eats be cheaper and longer-lasting, but they would be healthier, too. But the initial euphoria looks to have gradually worn off as synthetic food became linked (or so we think?) to health problems. Pesticide-ridden, genetically-modified, lab-generated foods are not necessarily healthier. And as I write this in between bites of a homegrown tomato, I wonder if another problem was that synthetic food just isn’t as much fun. Food pills and Nutraloafs ignore thousands of years of cultural history. Eating around a dinner table with family, snacking in between meals or preparing a simple Fluffernutter at home – these are activities that the synthetic future hasn’t adequately replaced. 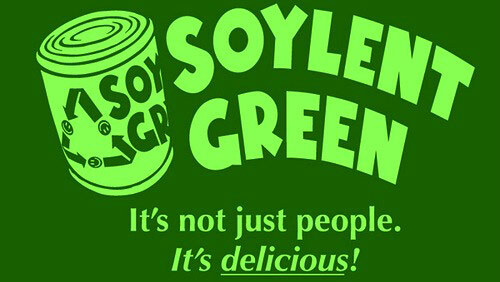 I remain optimistic about the future of food, particularly the future of synthetic food. We may not have the formula yet, but Rome was not built in a day. In the meantime, I plan to enjoy my homegrown tomato and leave the test-tube hamburgers to more adventurous souls.